Helical bars for retrofit bed joint reinforcement. 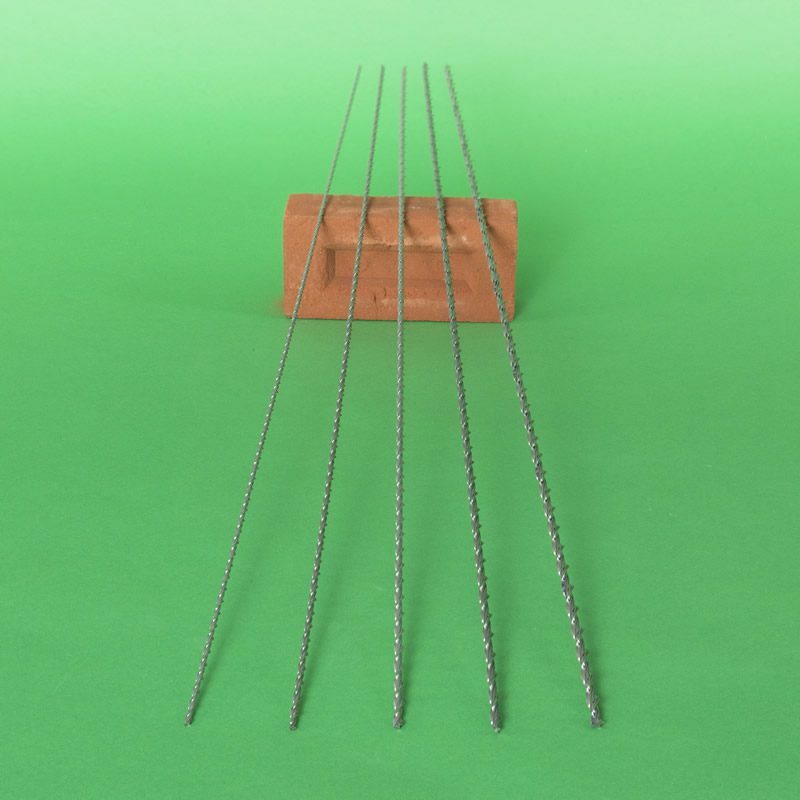 The reinforcing bars have been tested at the BRE for use in forming load carrying brick beams. 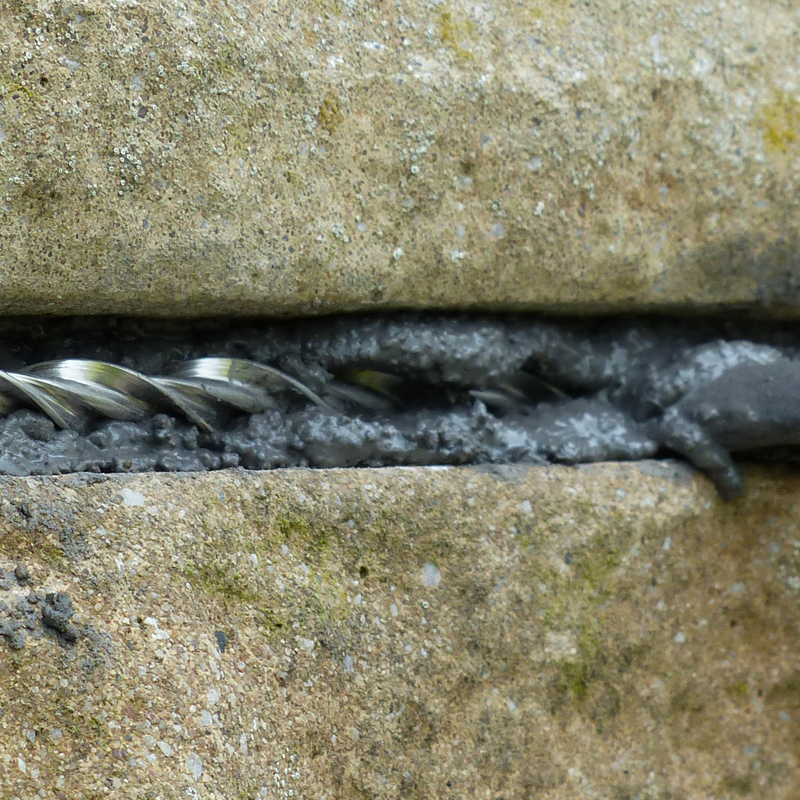 They conform to BS EN 845-1: 2013 and conditions for CE marking for strapping together masonry. 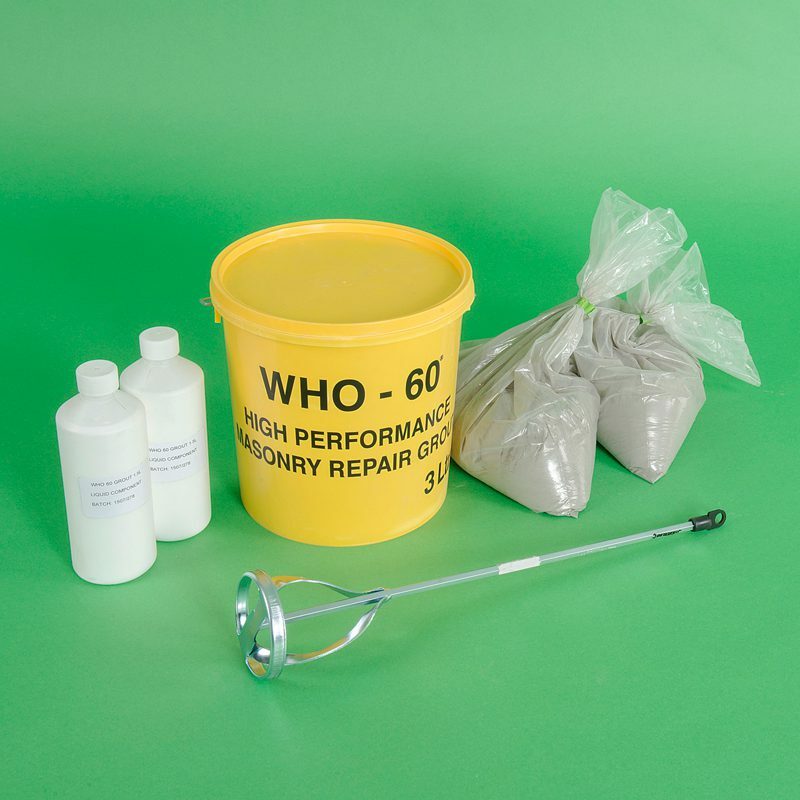 Available in lengths of up to 10m and in diameters of 5, 6, 7, 8 and 9mm. 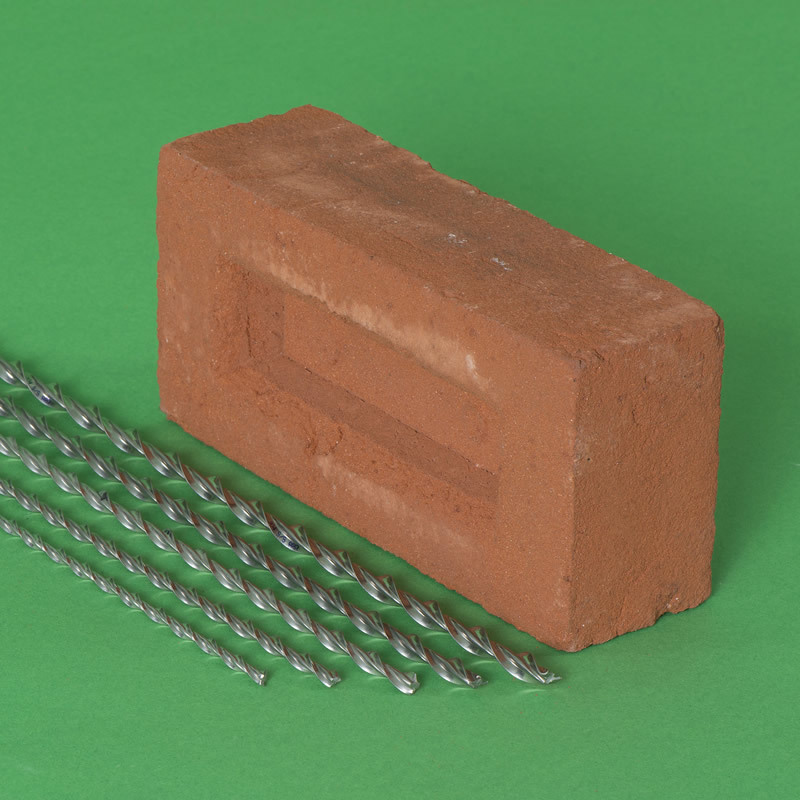 Thor Helical bars are used to strengthen and stabilise damaged masonry structures. 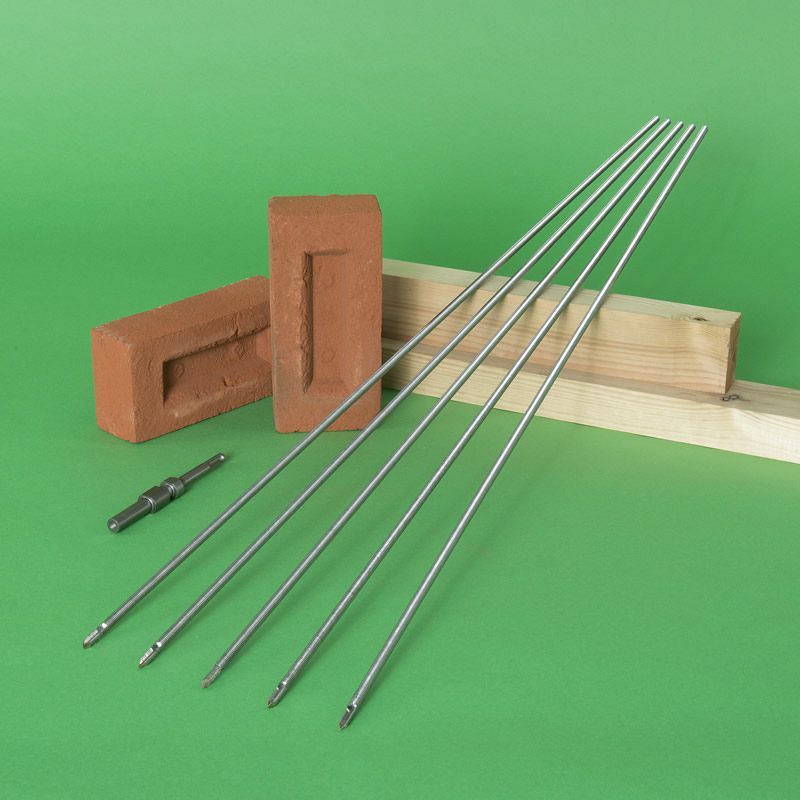 The high tensile, stainless steel brick reinforcement is concealed within slots cut into mortar beds to form deep masonry beams that span areas of poor support. 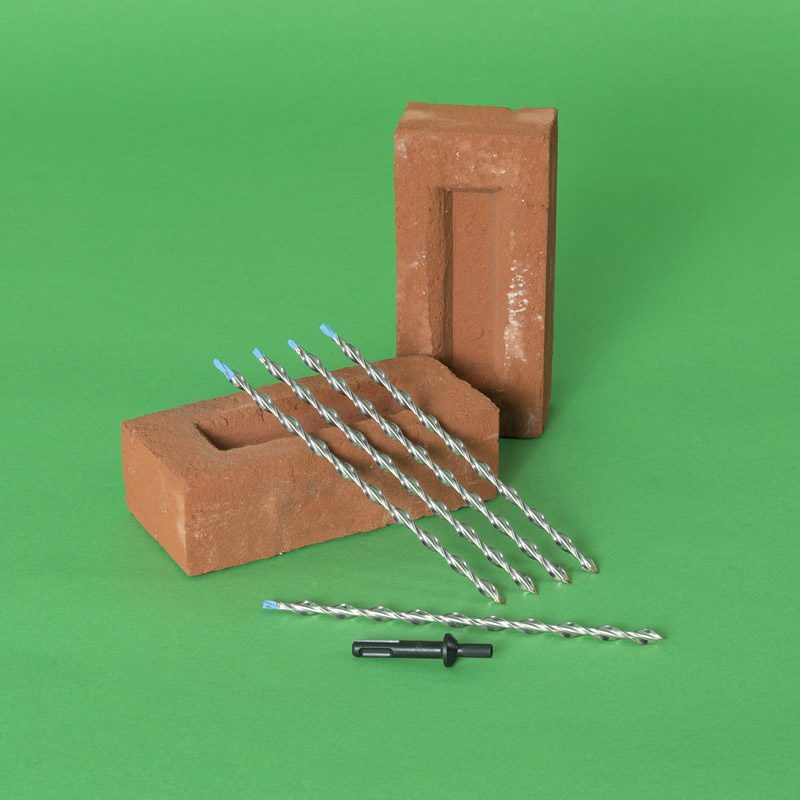 The retrofitted masonry beams are particularly useful for carrying and redistributing vertical loads over areas of localised foundation movement or over failed lintels. The helical bars may be wrapped around a building, like hoops strapped around a barrel, to increase the flexural capacity of a wall and its resilience to horizontal loads. Retrofit masonry beams are formed by reinforcing two separate mortar beds, each with a pair of bars embedded in WHO-60 structural repair grout. The reinforced bed joints form chords that represent the upper and lower flanges of a beam. One chord carries compression and the other resists tension loads. The masonry between the chords represents the web of the beam and carries horizontal shear. 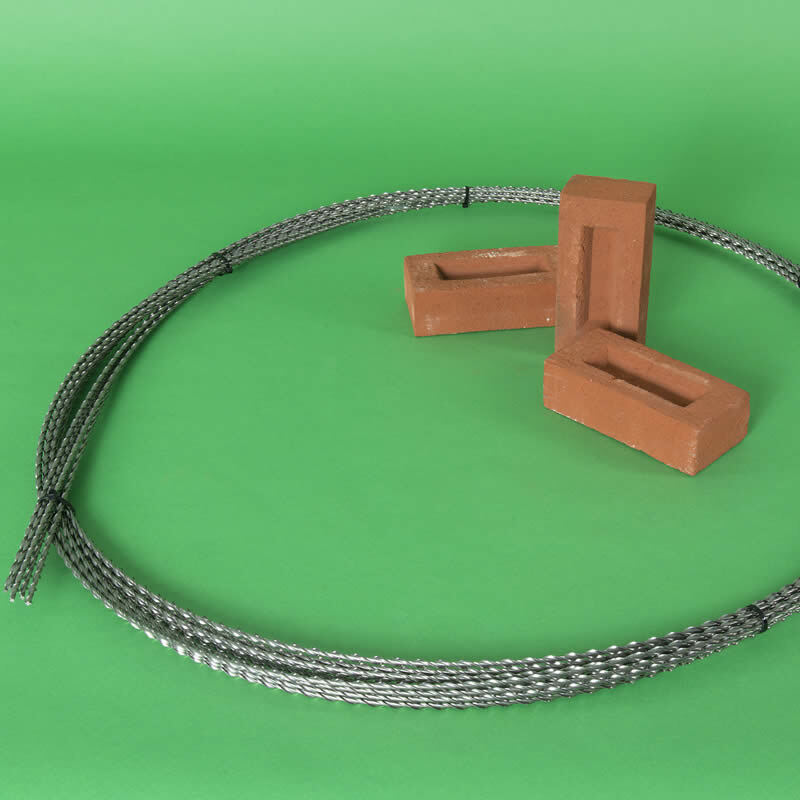 Download the BRE Report / Load Tables to establish capacity of a brick beam/ lintel formed with concealed 6mm helical reinforcement. 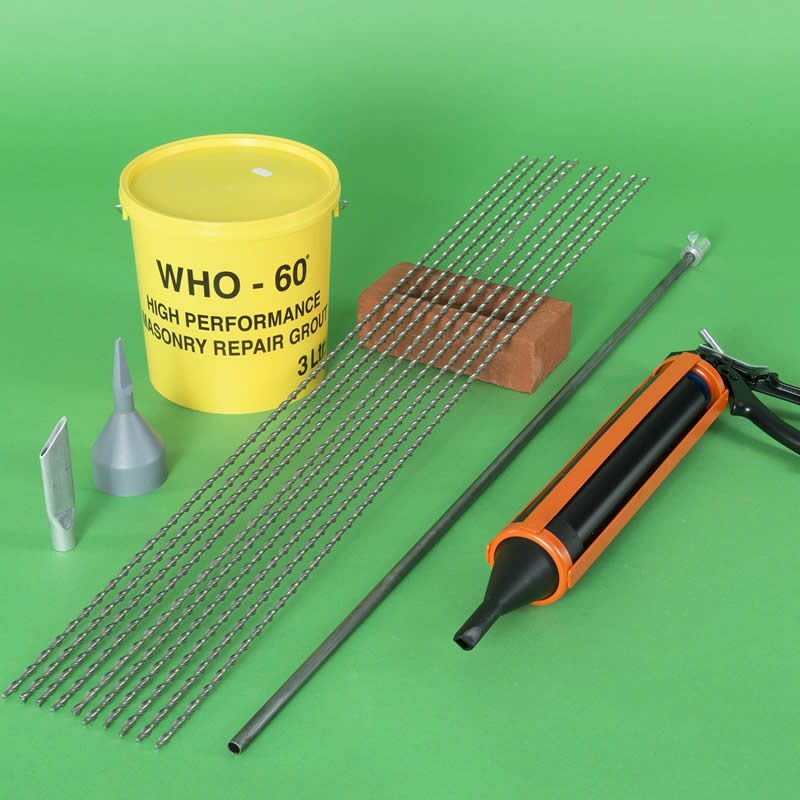 Helical reinforcement bars are available in a choice of 5mm, 6mm, 7mm, 8mm and 9mm diameter. They are cold rolled from stainless steel wire and twisted through a die to deliver high tensile reinforcement with unique torsional elastic yield characteristics. 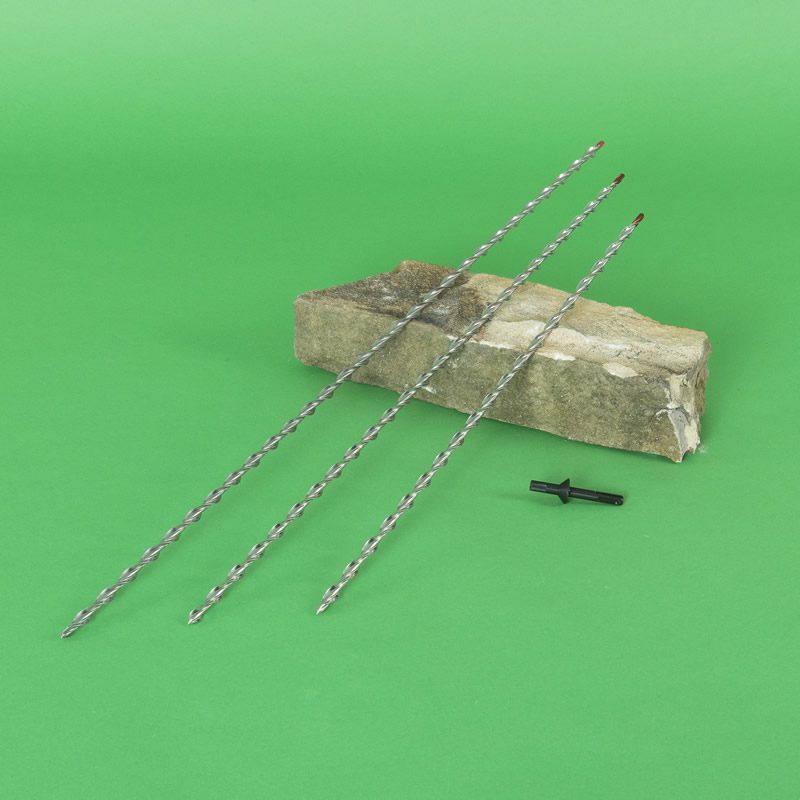 The reinforcing bars have high tensile strength of 1050-1200N/mm², which is twice that of rebar, four times that of epoxy glass-fibre rods and seven times that of wound helix plate (Ref: BRE GBG62). Long helical bars are supplied in lots of 100. For ease of transportation they are coiled and tied in lots of 5 bars. Brick beams formed by installing two chords of double 6mm bar bedded in WHO-60 Grout. Bars extended 500mm either side of the opening (span). The depth of the beam is the distance between each chord of double helical bars. Loads are expressed in kN per linear metre.